As we’ve been examining how viruses such as Tobacco Mosaic Virus attack marijuana, and hearing from growers that viruses are an increasing problem in the marijuana community, we’re going in for a deeper look. One big reason is, a lot of growers think they have nutrients or grow room environment problems, but in some cases their plant problems are actually caused by viruses. Viruses are strange things. They aren’t really alive or dead. They aren’t plants or animals. What they are is very clever and retaining their molecular integrity in the most hostile conditions, and wreaking havoc in animals and plants. The Tobacco Mosaic Virus (TMV) is one of five viruses known to attack marijuana. They’re related to viruses that cause serious problems for humans, including HIV, Ebola, Dengue Fever, Polio, and Rabies. As far as we know at this time, your health is not affected by viruses in marijuana you consume. But the harsh truth is, when a marijuana plant is infected by a virus, it will always be infected. Not only that, viruses transmit in pollen and in seeds, and can live for as much as 50-60 years in grow room equipment, carpets, soil, dead plant tissue, and other materials! As you read in the previous article, getting rid of viruses on your marijuana growing environment and equipment means a thorough cleaning with a virucide such as Physan 20. But you can never get rid of viruses in plant tissues once they’ve infected your marijuana plants. One of the worst things about viruses in marijuana is they cause symptoms that masquerade as problems with fertilizers and hydroponics nutrients, pH, or grow room environment. These include chlorosis (yellowing of leaves), necrosis (dark or dying parts of leaves), streaking or mosaics (swirling patterns of leaf discoloration), stunted/deformed leaves or plants, slow growth, weak stems and stalks, parts of leaves disappearing (leaving what looks like an insect bite in the leaf), shiny leaves, upturned leaf edges, “bubbling” on leaves, and decreased production of marijuana floral structure and resin glands. Most marijuana growers would initially assume, as I did, that such problems are caused by factors I can control, such as nutrients issues, pH, grow room environment. That’s why I went through a marijuana troubleshooting checklist that involved changing out my hydroponics nutrients, soil, and water while also making sure my marijuana grow room conditions and root zone pH were ideal. None of those interventions stopped the cannabis leaf problems, and as I worried myself sick about the situation, I discovered that my marijuana plants’ problems came from viruses. I started testing my crops using a tobacco mosaic virus test kit. At first, the tests revealed no virus. 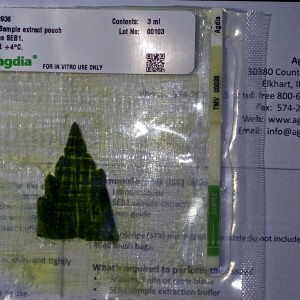 I was probably doing them wrong or the results were otherwise invalid, because a few days later, the tests showed my plants had TMV. But it doesn’t mean my adjustment of nutrients and my other interventions were a total waste of time. In fact, because you can’t completely rid your marijuana plants of viruses once they’ve acquired them, and unless you just want to trash your plants and start over, the best way of managing your infected cannabis plants is to do exactly what I did to renew, monitor, and upgrade my feed program, root zone, and grow room conditions. How do viruses get into cannabis plants? One way is through insect vectors, especially aphids, whitefly, and thrips. Another way is for viruses to be transmitted through seeds, pollen, or clones. Or it can come from soil or water that has viral cells on-board. Viruses also transmit into your cannabis grow room from outdoors. And tobacco mosaic virus can come in through tobacco. Another good reason to give up smoking cigarettes! And because viruses jump from plant to plant, they’re easily spread in crowded grow rooms and in situations when hygiene standards and vector control are low. The TMV infection that plagued my marijuana grow room came from infected clones. Worse yet, there was no way for me to know the clones were infected. They looked fine when I bought them. 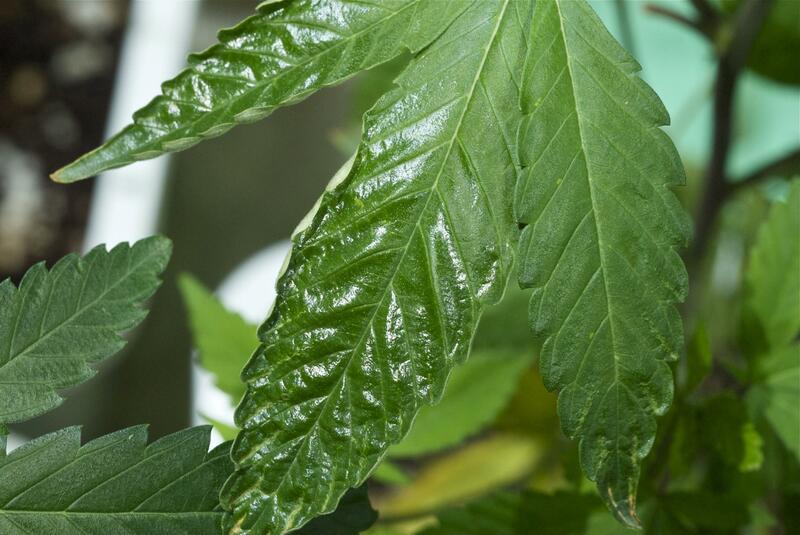 Virus-infected marijuana plants often first show symptoms when they’re stressed, such as when they’re transplanted, pruned, or moved from one place to another. Of course, if you have bad conditions in your marijuana garden—heat, cold, inferior hydroponics nutrients, polluted water, lack of aeration or air exchange, plant crowding—the stress can trigger the outbreak of the virus. You have a chance of preventing virus infections by running a super-clean marijuana grow op and not bringing infected materials, seeds, or clones into your cannabis garden. 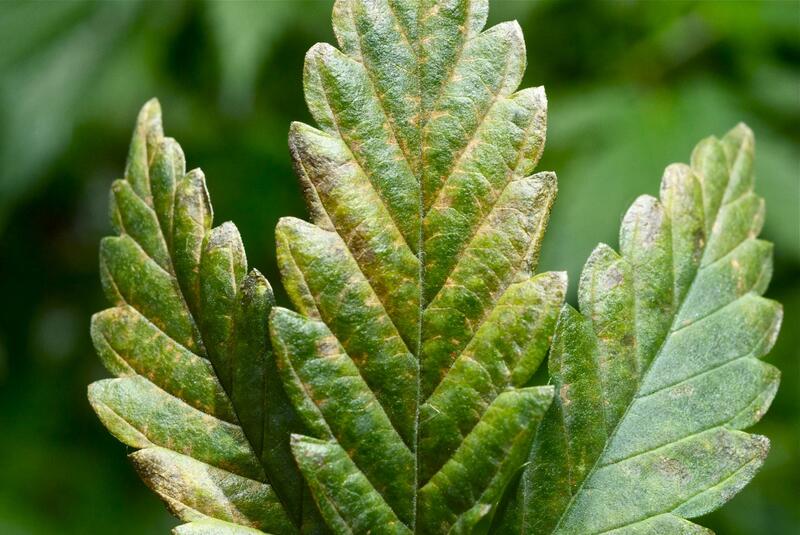 If you already have a virus infection in your marijuana plants, all is not lost. You can use Physan 20 to control the virus, and take other steps, as outlined in past articles and in upcoming ones, so stay tuned. 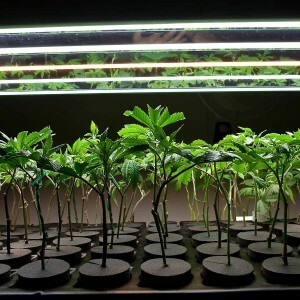 Is Growing Marijuana From Seed "Better" than Growing Marijuana Clones?